FC Barcelona’s medical services have confirmed that Thomas Vermaelen has a hamstring injury in his left leg and tests on Monday have ascertained that the Belgian defender will be out for around 2 weeks. The defender was injured in the 41st minute of the first half in the 5-0 win at the Benito Villamarín and the 32 year old was replaced by Samuel Umtiti who himself was making his comeback from injury. 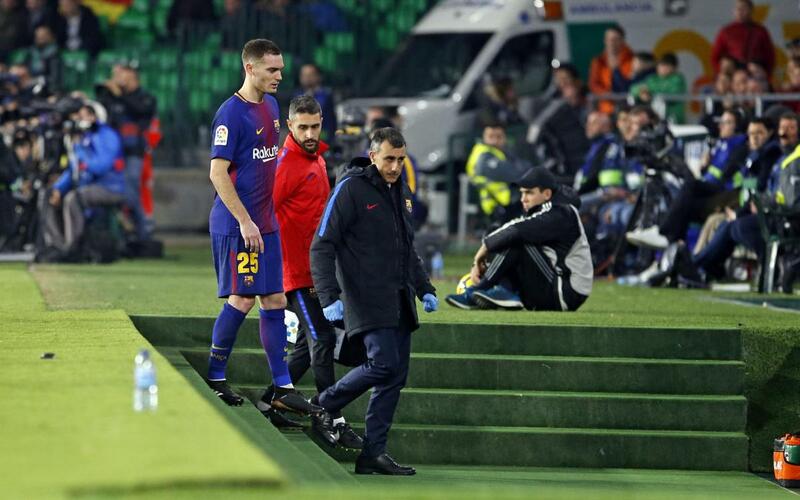 The injury comes with the defender in excellent form as Vermaelen has made 13 appearances for Barça this season, 7 in the league, 5 in the Copa del Rey and one in the Champions League.